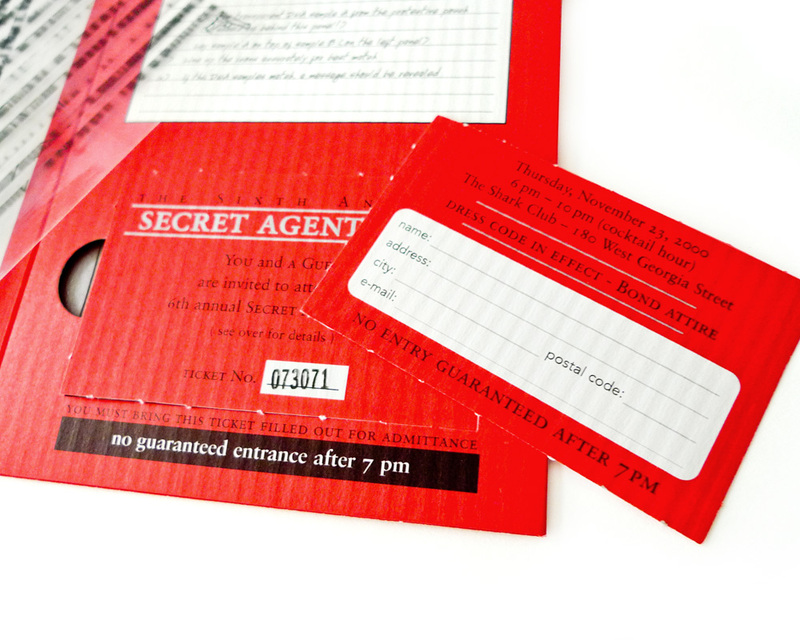 Mark Anthony Group’s 007-themed ‘Secret Agent Ball’ parties have always been special events, and the invites are hard to come by. For the 6th annual Secret Agent Ball invite, I came up with the concept of a puzzle that would need to be solved in order to figure out the details for the party. 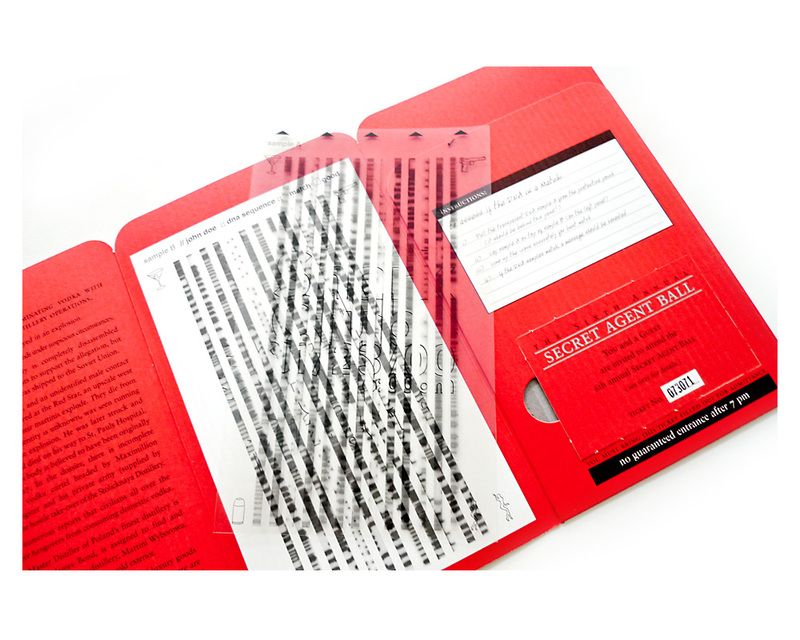 Inside the folded invitation’s pocket (on the right) is a transparent plastic card, which resembles a DNA sequence output. The instructions direct you to line up the DNA sequence with the graphic on the inside of the invite (complete with markers to help you align it properly). If you followed the instructions properly, with the DNA sequence aligned to the invite, the party information was revealed. Mark Anthony Group is the leading privately-owned importer and distributor of fine wine, premium beer, and specialty beverages in Canada. 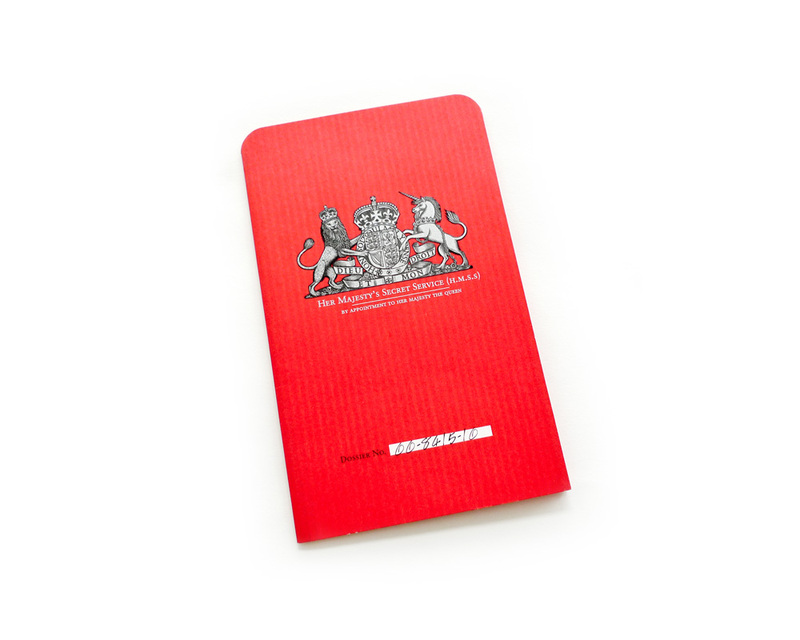 The invitation was printed metallic silver and black ink on red ‘Classic Columns’ paper. 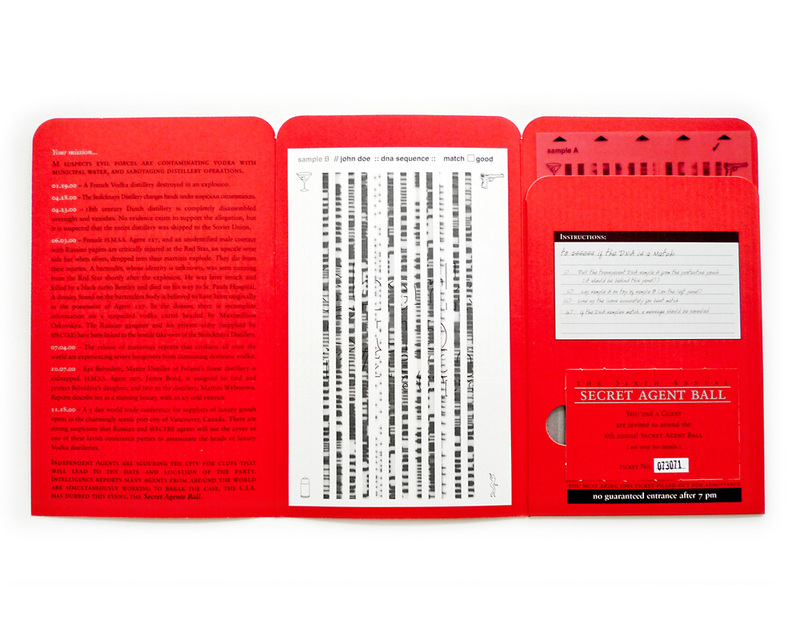 The invitation as you’d receive it, with the DNA transparency in the pocket on the right. 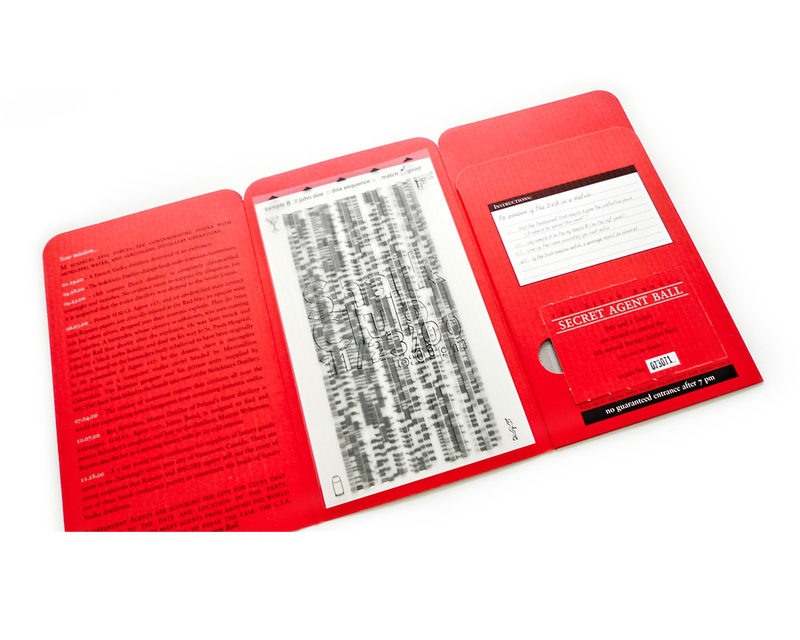 Pull the DNA transparency out of the pocket, and align it with the clue markers located in all 4 corners, as instructed in the mission notes on the left side.